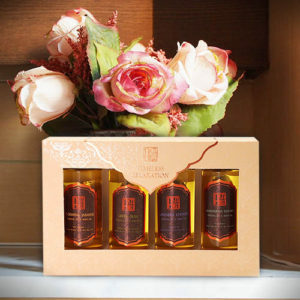 Exclusive massage oil set come in 4 most popular scents voted by AKALIKO massage oil lovers. 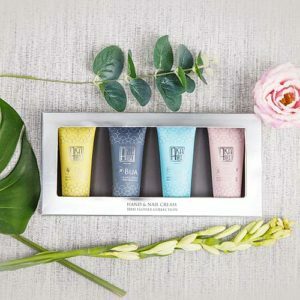 Perfect gift for any occasion created by a unique touch of senses in style of Thai flowers. 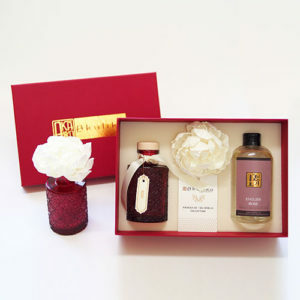 Bring relaxation to every space with our high quality perfumes that come with adorable handmade flower. 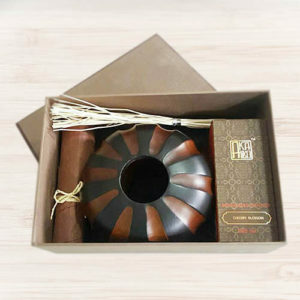 An exquisite Reed Diffuser in a box set with wooden vase.